Walk the boardwalk in the Reef Downtown Truss sandals. 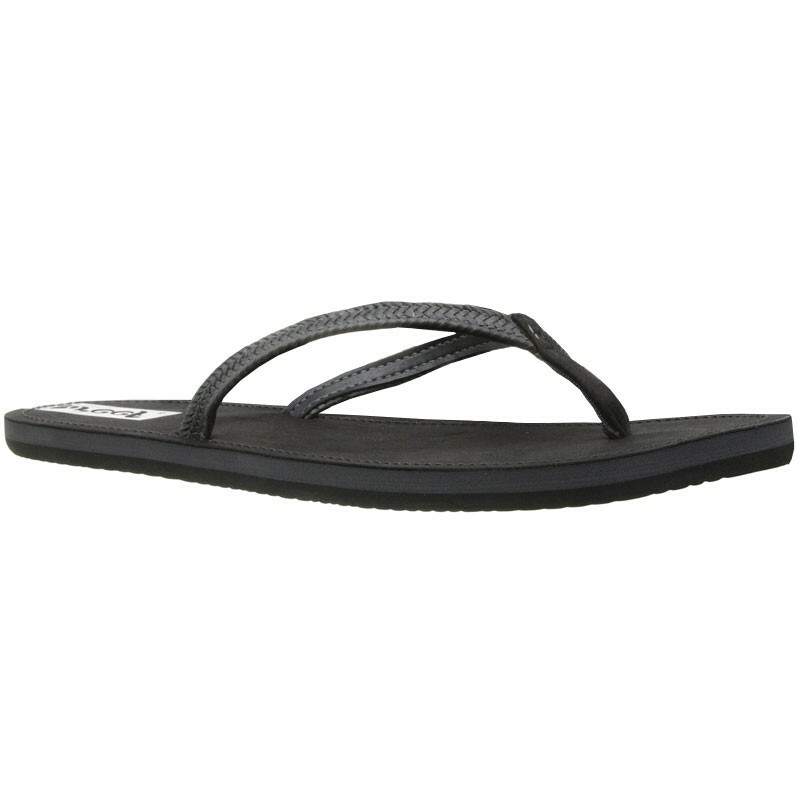 This women's classic flip flop sandal features a vegan leather upper with skinny, braided straps for eye-catching style. This combines with the vegan leather footbed for the perfect style for post-yoga, browsing the market, or meeting the gals for lunch. The rubber sponge outsole provides some comfort and flexibility, so all you need to do is slip on the Reef Downtown Truss and go!